Local First Arizona's For(u)m promotes the growth of civic engagement and pride around thoughtful, sustainable, walkable, and inclusive infill development in the Phoenix metro area, with a particular focus on the Phoenix, Tempe and Mesa urban cores. For(u)m is a membership-based program of Local First Arizona dedicated to furthering diverse, context-sensitive and responsible development through infill, adaptive reuse, preservation, and redevelopment. The program serves as an information exchange that organizes and informs development professionals focused on urban infill projects, advocating for a balanced dialog between residents, city government, and business stakeholders. For(u)m will inform members with access to critical figures in the planning and development realm in order to educate and raise awareness of the urgency on these issues, and to increase coordinated and expedited response times from the development community. Communication will be through a digital newsletter, social media, and optional social and informational gatherings. For(u)m focuses on the following issues to ensure a strong Arizona economy centered around thoughtful and sustainable development. In celebration of Earth Month, we’re breaking down what makes cities sustainable, and the kind of planning it takes to make it happen. Meet a few of the women developing the built environment throughout Arizona. What does it mean to co-produce the built environment, and how can Arizona cities do it? Artspace and Architectural Resource Team, in partnership with LISC and NEDCO, bring quality, creative, and affordable live-work units to downtown Mesa. Thanks to the city’s award-winning adaptive reuse program, the Warehouse District has become a tech hub, and locally-owned WebPT is in the newest space designed by Gould Evans and built by 180 degrees design + build. For(u)m’s third annual subcontractor expo showcased more than a new name; the Build Local Expo highlighted a dozen of the valley’s premier crafts- and tradespeople while creating a unique, collaborative networking space. Through collaboration among architects, designers, contractors and garden workers, the Desert Botanical Garden was able to great the perfect plan for their new center. A place that became an ideal space for happy plants, happy staff, and a unique desert harmony. Earlier this month, the Arizona Rural Policy Forum brought rural economic development professionals, nonprofits, community leaders, business owners, and other rural stakeholders to the Town of Wickenburg to share resources, empowering stories of success, and visions for the sustainable future of our Rural communities. Local subcontractors such as carpenters, steelworkers, glass workers, engineers, and designers will showcase their exemplary crafts and skill sets. More than a glass manufacturer, Western Window Systems prides themselves on their use of innovative technologies, ambitious business model, and a passionate, dynamic workforce. As For(u)m affiliates, Western Window Systems has already provided an invaluable partnership, and will again host the annual Subcontractor Expo. The National Comedy Theatre is moving into the heart of Downtown Mesa. Relocating to a space right along the lightrail, this top-notch entertainment venue will now be easily accessible to comedy-loving members of the Downtown Mesa community. See what the owners, landowners, and brokers have to say about the benefits of this move. What Does It Take to Train Olympians? 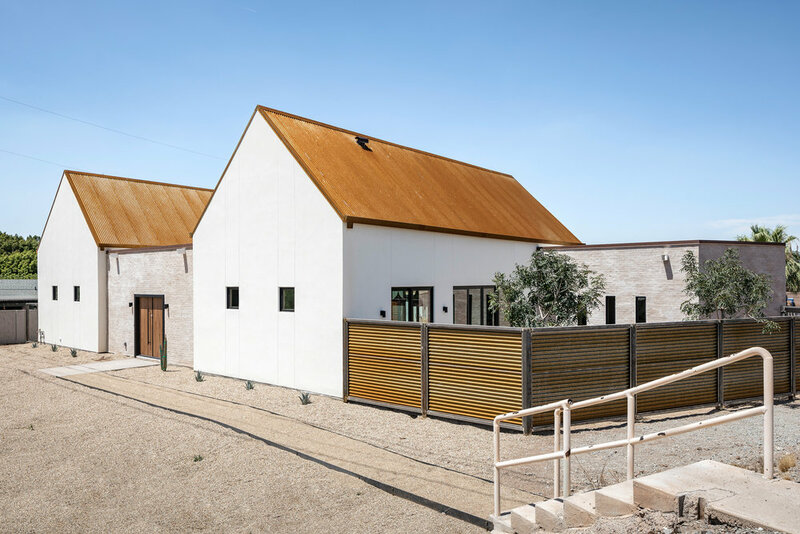 When Arizona SunRays needed a new home for its expanding, and internationally-renowned, dance and gymnastics classes, it turned to Holly Street Studio, a local architect known for projects with ASU, Heard Museum, and even Gallo Blanco. For(u)m and its members gather at the annual Arizona Historic Preservation Conference to talk about cross-sector work in preserving our state’s cultural and physical history. The 2018 LFA For(u)m Subcontractor provided a unique space for firm handshakes, thoughtful development conversations, and diverse displays of high-quality craftsmanship. Aric Mei of the Parlor teams up with veteran Arizona artist, farmer, and fabricator Matthew Moore for a one-of-a-kind urban farm project at Los Olivos Park, but they need community support to make it final. Interested in learning more? Reach out to our staff with any questions.